THE Watson Foundation has made a second welcome donation to bring an iconic Clyde steamer back to life. This week the Foundation announced it had made a donation again specifically to renew and repair the deck of the TS Queen Mary. The welcome boost is another helping hand for the much-loved ship and follows a similar cash boost in April. Is restoration is fully under way and in an exciting new development a permanent berth was announced recently for the ship at the Glasgow Science Centre. Built at Dumbarton in 1933 the TS Queen Mary is currently undergoing its huge refit after being successfully brought back to the Clyde from Tilbury in Essex. TS Queen Mary which is to become one of the UK’s largest interactive maritime exhibits will provide an unparalleled way of learning about our maritime and social history. As a museum, she will connect local people with their river and its industrial heritage. Queen Mary will offer a range of exciting curriculum-linked learning experiences to all schools in the Strathclyde. Queen Mary will also be one of Scotland’s most unusual dining, wedding, corporate function, concert and arts venues. In addition to being made available to the public to hire, she will host an attractive, inclusive events programme each year. There will be an emphasis on local festivals and events that will be promoted extensively to attract people from the Strathclyde region. 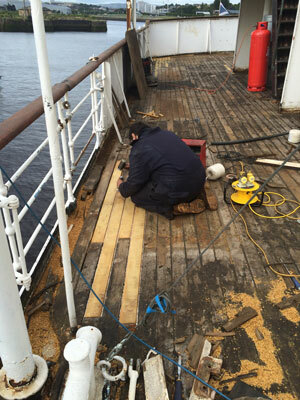 The original April donation from the Foundation was also used to restore the ship’s beautiful and irreplaceable Burmese teak deck. Experts MacKay Boat Builders are making excellent progress and are hard at work on the task. Iain Sim, Trustee and Secretary of Friends of Queen Mary thanked the Foundation for its second generous contribution. 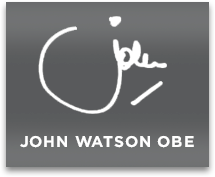 Ian said: “This is another welcome boost for our work and we are very grateful indeed for the generosity shown by The Watson Foundation.